Victor Wooten is considered one of the greatest bass players of all time. He’s won five Grammy awards and has thrice been picked Bass Player of the Year by Bass Player magazine readers. He’s a founding member of the acclaimed jazz fusion act Béla Fleck and the Flecktones and has an accomplished solo career. But when he performs with The Wooten Brothers, sharing the stage with his musically gifted older siblings, he gets to be the baby. He gets to be just a great bass player, one in a group of talented musicians who’ve been performing since Victor was a child. And he likes that. “It’s like being home, where I can totally relax,” Victor said. Victor was taught to play bass guitar by his older brother Regi when he was just a toddler. He can’t remember the first time he played his signature instrument. He likened it to trying to remember one’s first words; learning to play bass guitar simply predates his memories. The family band he was born into needed a bass player, Victor explained, and thus the instrument was selected for him and taught to him. He does have some early memories of playing bass guitar with his brothers, though. They were touring by the time he was 5 years old, and he can remember some of those early experiences. Looking back, he recognizes that his musical upbringing was extraordinary and he tries to provide those opportunities for his own children. But at the time his young life in music – playing in clubs and opening for soul legend Curtis Mayfield – seemed not at all out of the ordinary; that’s just what his family did. Now 40 years later, the brothers each set their own musical paths. Guitarist Regi, who taught Victor, is known as “The Teacher,” and teaches music to many in Nashville. Keyboardist Joseph has been with the Steve Miller Band since the mid ’90s. Drummer Roy, better known as “Futureman,” is also a Flecktones founding member. Still, the brothers often perform together. Victor and Roy have the Flecktones, and Victor tries to get Regi and Joseph to play when he tours with The Victor Wooten Band. 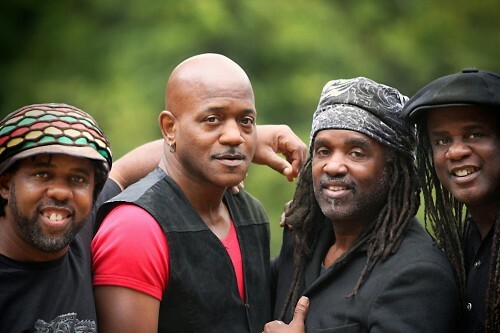 It’s rare that all four are able to play together, though, but next month they’re setting out on a 13-date tour together that will bring them to The Birchmere Dec. 11. The brothers will be playing from their repertoire, including some of the songs they performed as children, for an evening featuring jazz, R&B, and pop and showcasing the mastery and musicianship each has achieved with his given instrument. While each of the brothers has his own musical and personal commitments to manage, Victor says setting aside the time for the tour was especially important after the death of the fifth Wooten brother, saxophone player Rudy. “We don’t want to let too much time go by before we do something together,” Victor said.